Welcome! Here are this week’s lesson plans. You can find the printable plans at the bottom of the post. 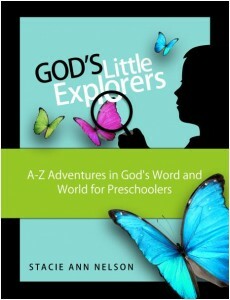 If you’d like to know more about God’s Little Explorers Preschool Curriculum, head over here. We cut-out the “z” printable (included in the packet below) and painted zebra stripes with a marble inside of a box. We had our own “zoo” and did a little bit of veterinary work on the animals with our medical and veterinary kits. The girls made triangles from playdough and added craft sticks to make a cage for some of our little animal figurines. We built a zoo from Legos. The girls counted animal crackers and then sorted them into equal groups for snacktime. We made “Noah’s Ark” snacks. We added a “Z” to our treasure map. See the complete list of suggested resources for our preschool curriculum here. 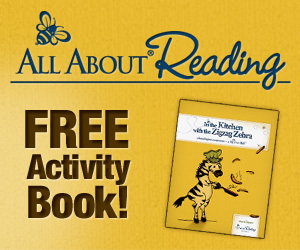 You can download Week 4: Z is for Zoo lesson plans here. We’ve completed our Z week, and had a load of fun learning about Noah’s Zany Zoo! I just wanted to let you know that I am loving the God’s Little Explorers curriculum. We will start week 4 on Monday. My 4 yr old and 6 yr old have both loved all the crafts. The activities are so unique and clever. Thank you for creating this! I can’t imagine the time and effort that went into preparing it! I’m so grateful for it! On behalf of me and my three sons, Thank you! We are using this for my three year old this Fall. I just was reviewing the verses and think it supposed to be Genesis 6:9 instead of 9:6. Thanks again! Goodmorning, Stacie. We’re using your curriculum this year and are enjoying it so far. We’re on Letter Z now. Our “school time” extended to 2 hours instead of around 30 mins yesterday as my little girl enjoyed pretending being in the zoo so much :). I just noticed a typo in the chapter and verse number for the verse of the week and thought you might like to know. It’s switched in the title “Noah walked with God” but is fine under Bible exploration. I was referring to the title at first 🙂 God bless your family and work!